Nestled along the coastal landscape of beautiful Bali lies the island’s hip neighborhood Canggu. Famously known for its great surfing breaks and luscious rice paddies, the popular hipster hangout is fast becoming well known for its enticing food scene. 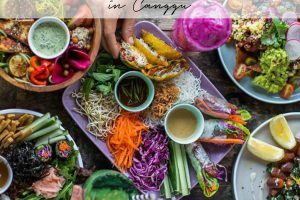 From newly opened venues to well established go-to’s, feast your eyes below on the Best Restaurants in Canggu. The Slow’s restaurant is a contemporary take on ingredient-focused cooking with an island accent. Canggu’s hottest new boutique hotel is THE place to rest your bones, stir your senses, and expand your mind with their Gastronomic cuisine. Chef Shannon Moran draws upon his travels through Europe, South America, and Asia to create an ever-changing menu of revamped classics injecting bold new flavors with an emphasis on seasonality, sustainability and sane eating. And let’s not forget the drinking at one of Canggu’s best restaurants – an exotic array of flavors and tastes for the palette just as important as the eating. Try your luck with a tequila shot infused with avocado & wasabi. Or a cocktail concoction of Tobacco rum, banana syrup, bitter lime & long pepper. When the food & drink flow has satisfied your senses, unwind or liven up, to tunes curated by Reverberation Radio whilst surrounded by a contemporary selection of art and (The) Slow vibes in Canggu. 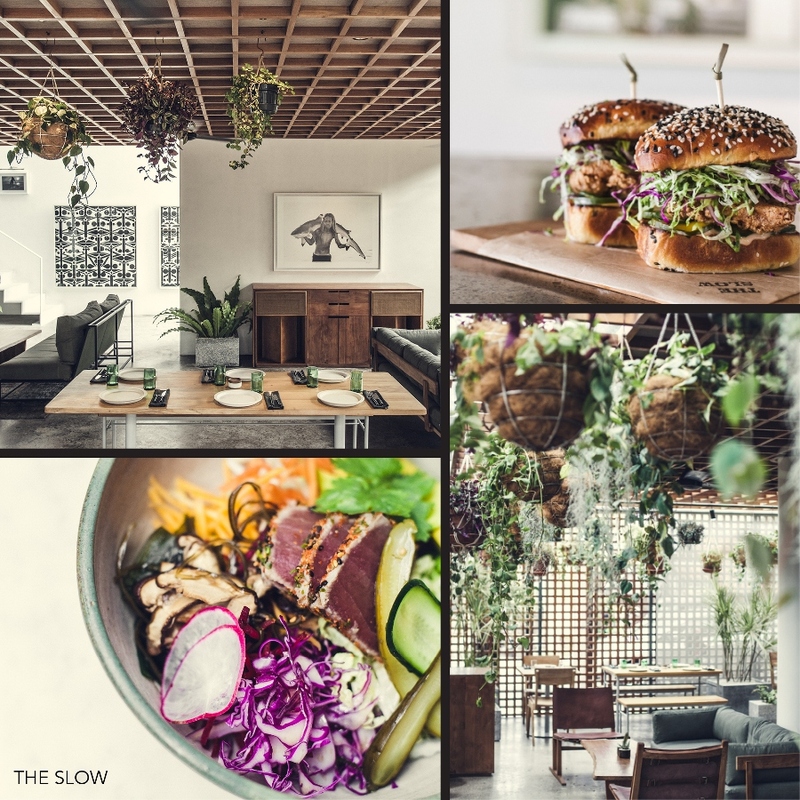 TAC Tip: Shop Hungry in Bali to receive exclusive privileges at the Best Restaurants in Canggu and beyond, including a complimentary dish at The Slow Canggu. And trust us, it’ll be hard to choose just one! 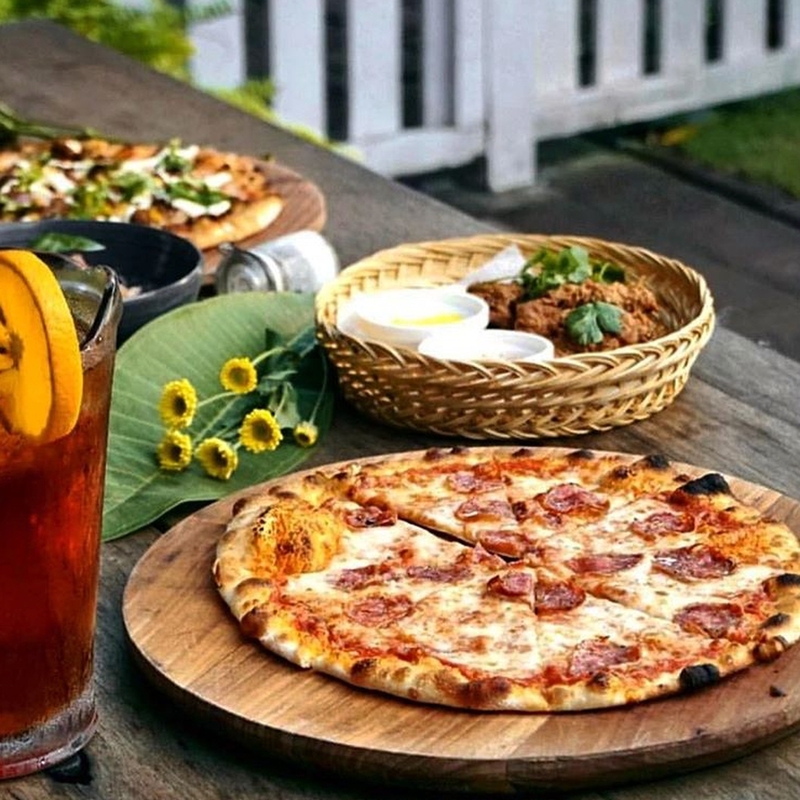 Offering authentic Italian food at friendly prices Bottega Italiana brings a rich taste of Italy to Canggu. Guests can create their own pasta dish by choosing from a selection of fresh handmade pasta and sauces made daily in-house, or, choose from a favorable selection of; cured meats, cheeses, salads, loaves of bread, and sweet treats – did someone say tiramisu? 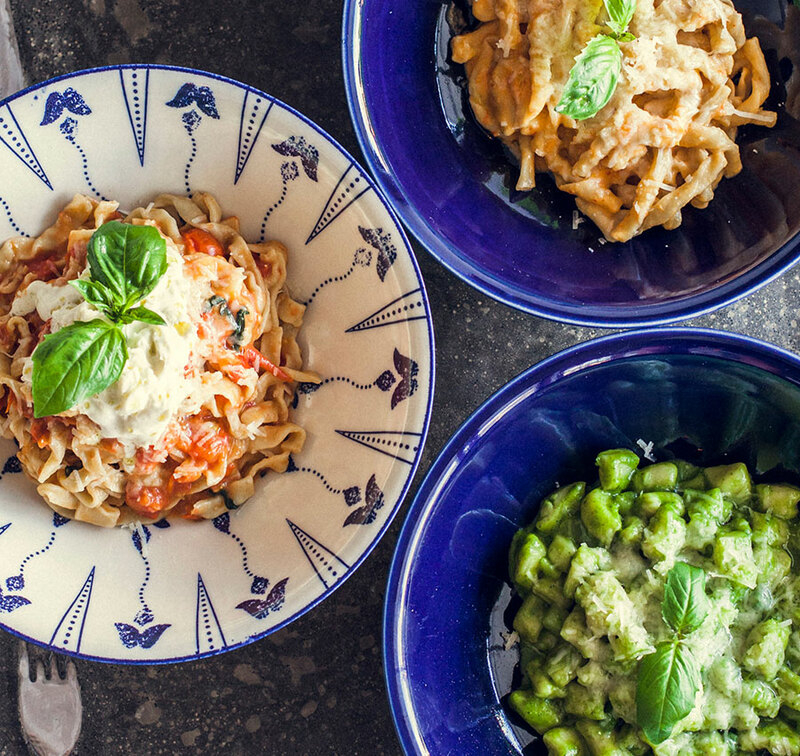 Using classic recipes with fresh organic ingredients and flavors that transport you to the cobblestoned streets of Italy, Bottega will satisfy any appetite with their variety of Italian specialty foods and clearly cannot be missed as one of the best restaurants in Canggu. The Lawn was designed to fit seamlessly with its beachfront location showcasing the ocean and sunset views it has become famous for. 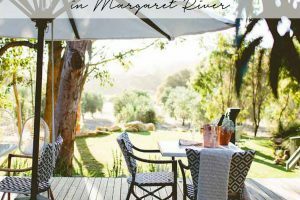 Their latest addition of the pool has created the perfect spot to enjoy a glass of frosé and have a quick dip to cool down after sunbaking on the lawn. At sunset, move to the top deck to capture the best views of the whole west coast from Uluwatu to Tanah Lot. Their modern Australian menu is packed with international cuisine, flavors and cooking techniques, from the famed Split King Prawns to the crowd favorite Mac & Cheese Balls and their delicious pizzas. Head down every Friday evening from 7 pm to enjoy a selection of half-price drinks & food (bonus!) before a boogie at one of Canggu’s best restaurants! TAC Tip: Shop Hungry in Bali to receive exclusive privileges at the Best Restaurants in Canggu and beyond, including 2-for-1 mains at The Lawn! 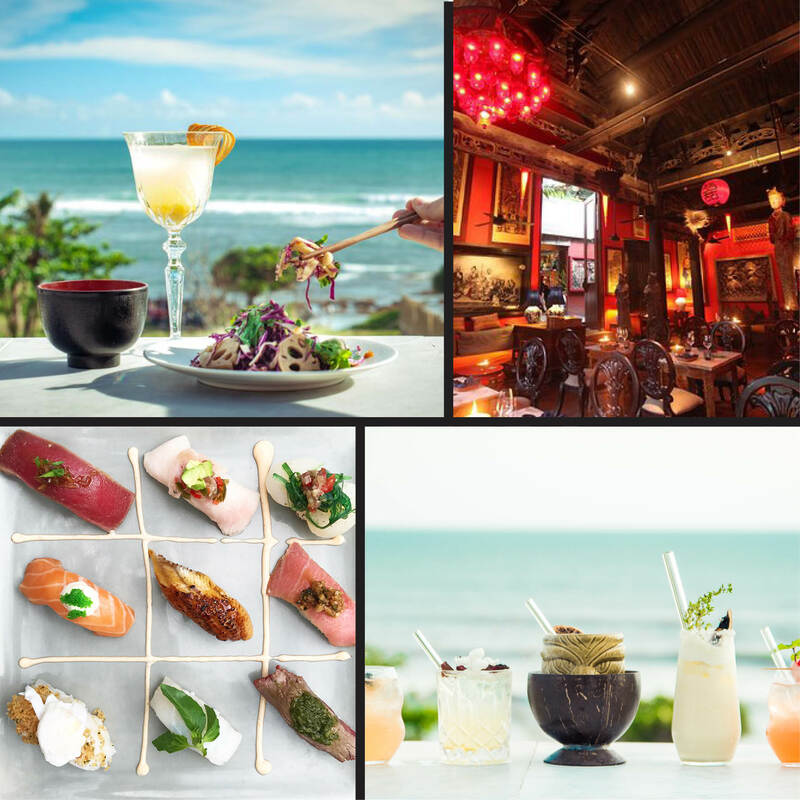 Ji Restaurants Bali is the ultimate spot located in the heart of Canggu, Bali, where an ancient 300 years old Chinese temple meets mesmerizing Indian Ocean views and contemporary Japanese created by the personal chef of David & Victoria Beckham. Be prepared for an outstanding and fresh dining experience (our menu favourites: Tic Tac Toe – their signature contemporary fusion nigiri platter and Dragon of Ji – Grilled Salmon with Eggplant, Japanese Wagyu & Wasabi on hot stone) in the magical ambience of ancient Japan and the East, with playful Japanese and Asian inspired dishes. 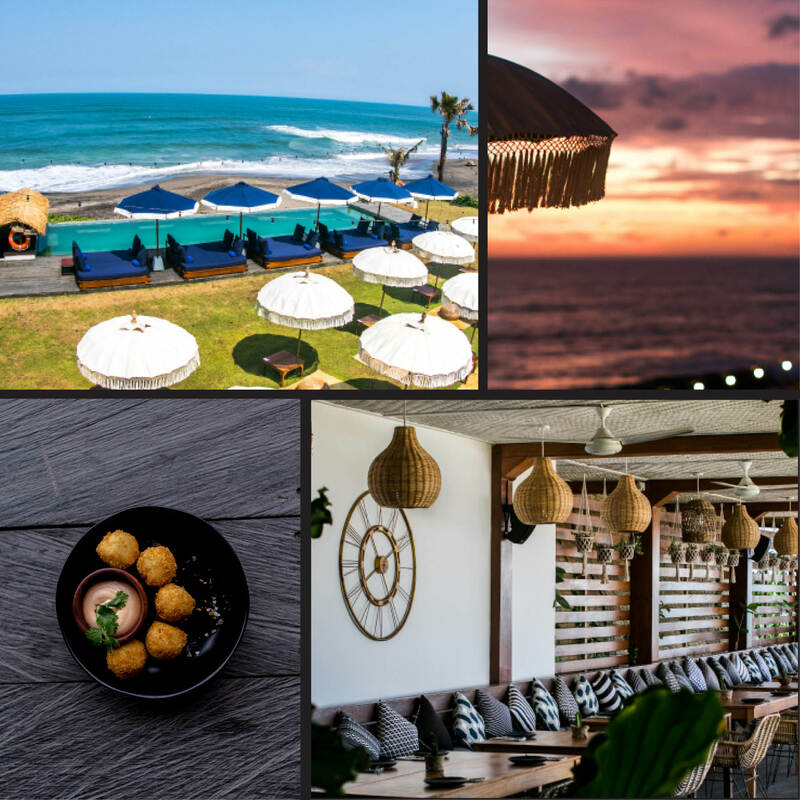 Choose between sampling your favorite dish at Ji at Bale Sutra 1706 or head upstairs to the Ji Terrace by The Sea with 180 degrees undisturbed ocean views, beautiful sunsets and dining under the stars included. TAC Tip: Shop Hungry in Bali to receive exclusive privileges at the Best Restaurants in Canggu and beyond, including a complimentary dessert with minimum spend 220K at Ji! Milk & Madu is located in the hipster area of Canggu within a traditional Balinese Joglo where surfers, stylish parents and travel babes hang out between surf time and sun. Milk & Madu always makes sure to deliver the goods for every meal of the day and have you covered with their generous plates made from the heart. 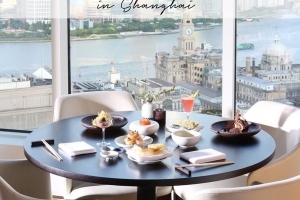 Join them for tempting lunches during the day and fantastic dinners at night under the stars. Our favorite at this Canggu restaurant, the wood-fired pizza made fresh from their clay oven! TAC Tip: Shop Hungry in Bali to receive exclusive privileges, including two complimentary beverages when buying two main dishes at Milk & Madu. Garlic bread anyone? The perfect companion for one of their delicious wood-fired pizzas! One of Canggu’s best restaurants Watercress serves wholesome, international, tasty variants from daily changing lunches to savory dinners made with love and only the freshest ingredients. Whether you join them for a heart-shaped coconut pre-surf (don’t forget to take the iconic shot!) or one of their tasty fresh salads after shopping on Jalan Batu Belig, this renowned Bali café & restaurant has to be on your must-visit list! 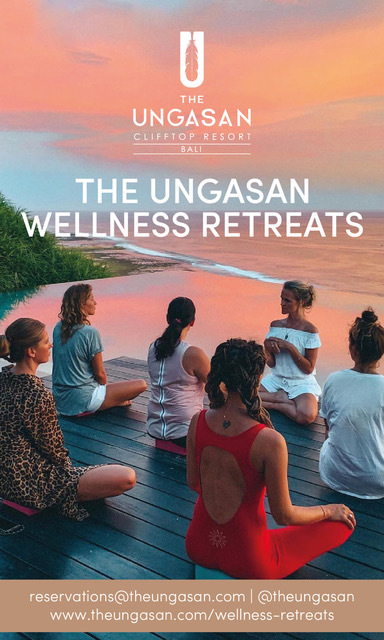 Staying in Ubud? You don’t have to miss out on Watercress goodness! Simply visit their Ubud outlet on famed Jalan Monkey Forest. TAC Tip: Shop Hungry in Bali to receive exclusive privileges, including two complimentary beverages when buying two main dishes at Watercress! 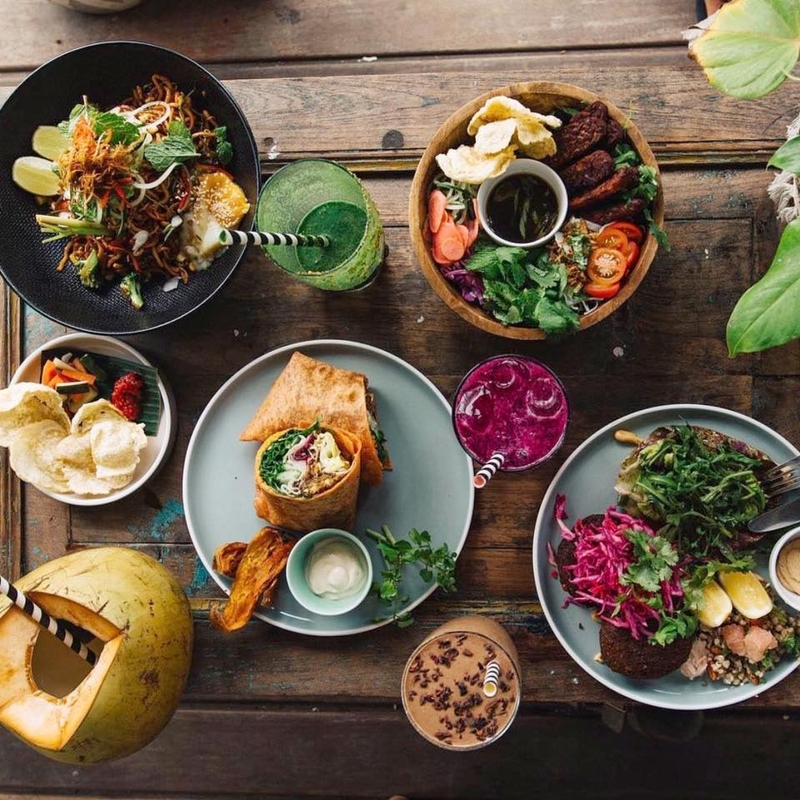 Fancy a smoothie bowl or one of the best burgers in Bali made from quality Australian imported ingredients? At Strawberry Fields you can have both. Designed to have both healthy and a few #cheatmeal options, this Bali restaurant gem on Jalan Batu Belig makes it hard for you to choose from their delicious menu. 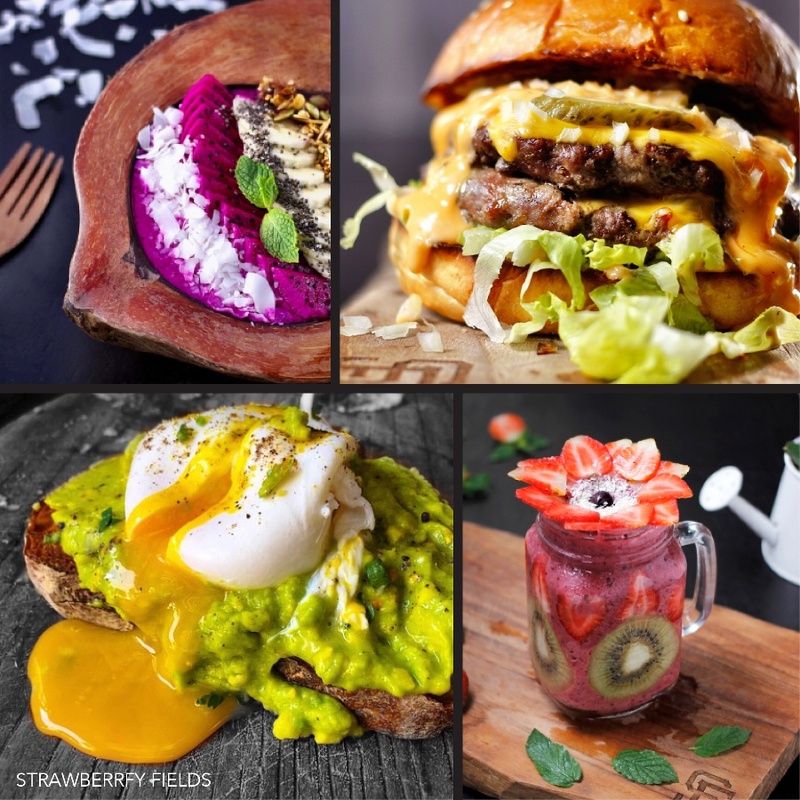 The best way out of this dilemma: pair one of their delicious smoothies with a mouthwatering burger at one of the best restaurants in Canggu. The sunlit courtyard surrounded by a jungle-like canopy of palms and vines is a hidden gem that turns into a chandelier-lit oasis by night, making it the perfect spot for dining and a night out. TAC Tip: Shop Hungry in Bali to receive exclusive privileges at the Best Restaurants in Canggu and beyond, including complimentary main dishes at Strawberry Fields! Specializing in vegan and vegetarian dishes The Shady Shack is a go-to for many expats and holidaymakers. Enjoy the breeze and ambiance at this chill vibe café & restaurant as you eat your way through the entire menu. How about the vegan cheeseburger? Made with an eggplant patty and all the trimmings you would find in a regular burger with a substitution for meat and cheese of course! 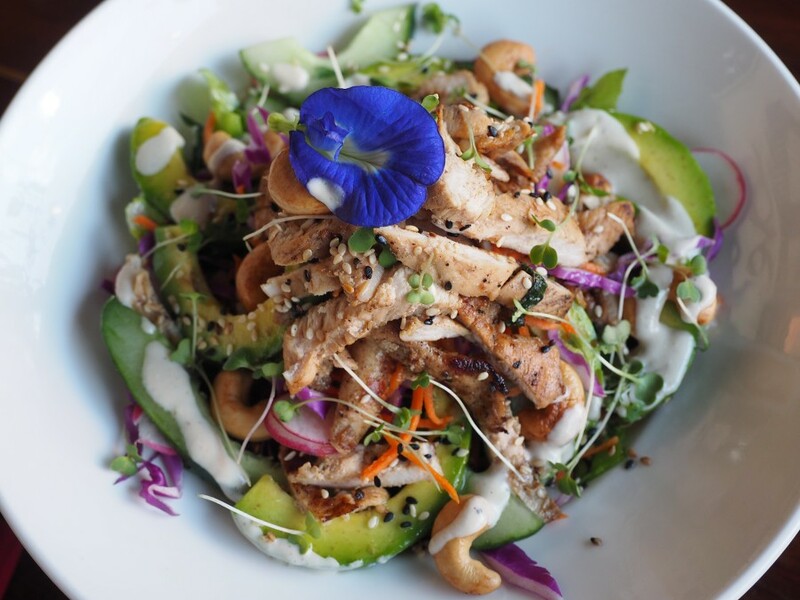 Or the Tempe bowl filled with; crispy nori, Tempe, sushi rolls, edamame, shitake mushrooms, red rice & a delicious miso tahini dressing. Check out the raw cakes and slices in the cabinet too for a sneaky treat – without the guilt! A Canggu restaurant definitely not to be missed! TAC Tip: Shop Hungry in Bali to receive exclusive privileges, including two complimentary beverages when buying two main dishes at The Shady Shack! Explore the spices of Indonesia at the new concept by the culinary geniuses behind Watercress and Milk & Madu. 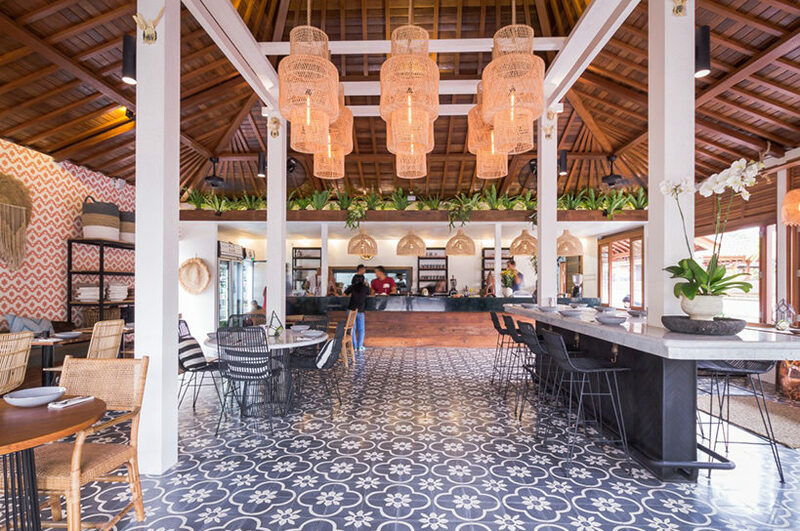 Ulekan effortlessly combines the abundance of flavors from Indonesia with stylish interiors, delicious drinks & desserts resulting in a Bali must visit as one of Canggu’s best restaurants! This well-curated space boasts local and handmade ornate decorations from the lighting to the accessories. Ulekan is reminiscent of past generations to reflect on the rich culture and influence of Indonesian design and cuisine. TAC Tip: Shop Hungry in Bali to receive exclusive privileges, including two complimentary beverages when buying two main dishes at Ulekan! We hear the sate is not to be missed! 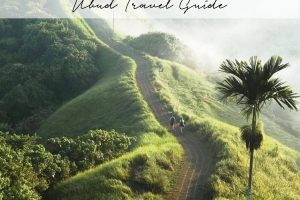 Our guide directs you and your travel partners in crime to Bali’s hottest must-visit venues that cannot be missed across Seminyak, Canggu, Ubud and the Bukit Peninsula. But the best is yet to come – each venue offers a unique privilege when presenting your HUNGRY IN BALI premium print hard copy or e-book before ordering. 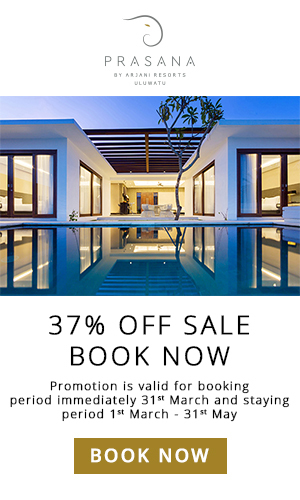 Receive 2-for-1 main dishes and spa treatments, complimentary cocktails, 30% off your bill and many more unique privileges across Bali’s best restaurants, hippest cafes, trendiest beach clubs, and most relaxing spas. 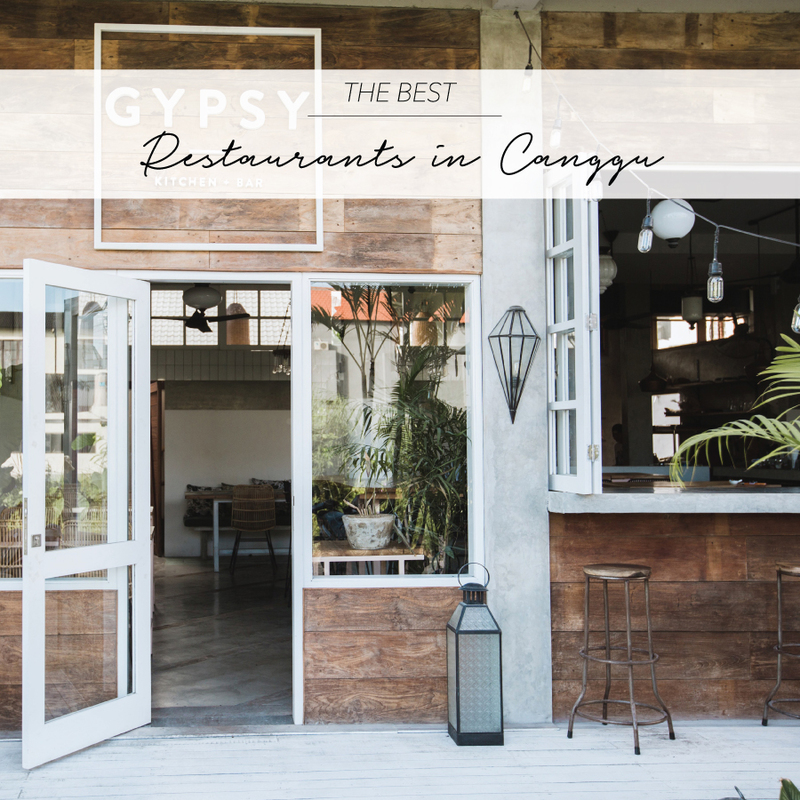 Are you a Bali regular and your favorite venue didn’t make our Best Restaurants in Canggu list? We’d love to hear from you in our The Asia Collective – Luxe Travellers group on Facebook – join to share your travel tips and ask for advice from the like-minded travelers.